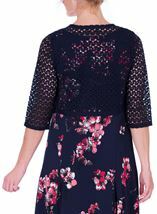 Add the finishing touch to your outfit with this beautifully crafted Anna Rose navy crochet cover up. 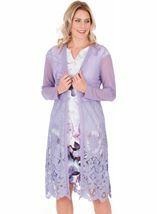 Designed with an open front and sleeves cut just below the elbow that flatter, team with dress style 128V1S1 for a stylish outfit for that must attend event. Back length 41cms. 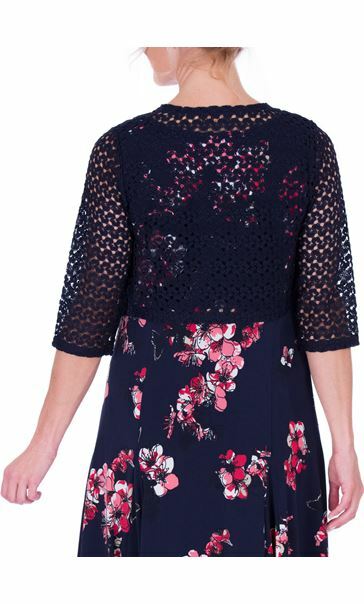 Just what I wanted, a cover up to go over a dress recently purchased. I am very pleased with the quality.